Dimensions 1.50 by 6 by 8.25 in. Amazon.com description: Product Description: For suspense-filled, post-apocalyptic thrillers, Wool is more than a self-published eBook phenomenonÃ¢ÂÂitÃ¢ÂÂs the new standard in classic science fiction. In a ruined and toxic future, a community exists in a giant silo underground, hundreds of stories deep. There, men and women live in a society full of regulations they believe are meant to protect them. Sheriff Holston, who has unwaveringly upheld the siloÃ¢ÂÂs rules for years, unexpectedly breaks the greatest taboo of all: He asks to go outside. A New York Times and USA TODAY bestseller, as well as Kindle Book ReviewÃ¢ÂÂs 2012 Indie Book of the Year, the self-published eBook blockbuster Wool will now be available in paperback from Simon & Schuster. About: In a future toxic landscape, a community that lives in an underground silo is rocked by the desire of Sheriff Holston, who has upheld the group's rules for years, to go outside, setting in motion events that kindle the fire of revolution. 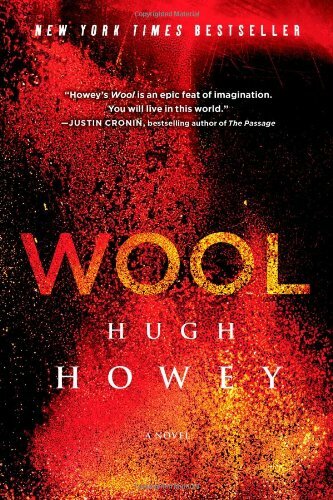 About: For suspense-filled, post-apocalyptic thrillers, Wool is more than a self-published eBook phenomenonâitâs the new standard in classic science fiction. About: In a ruined and toxic landscape, a community exists in a giant silo underground, hundreds of stories deep. About: For suspense-filled, post-apocalyptic thrillers, Wool is more than a self-published ebook phenomenon―it’s the new standard in classic science fiction. About: “Wool is frightening, fascinating, and addictive.